Your pet is part of your family—and the last thing you want to do when traveling to visit family over the holidays is leave a member behind. 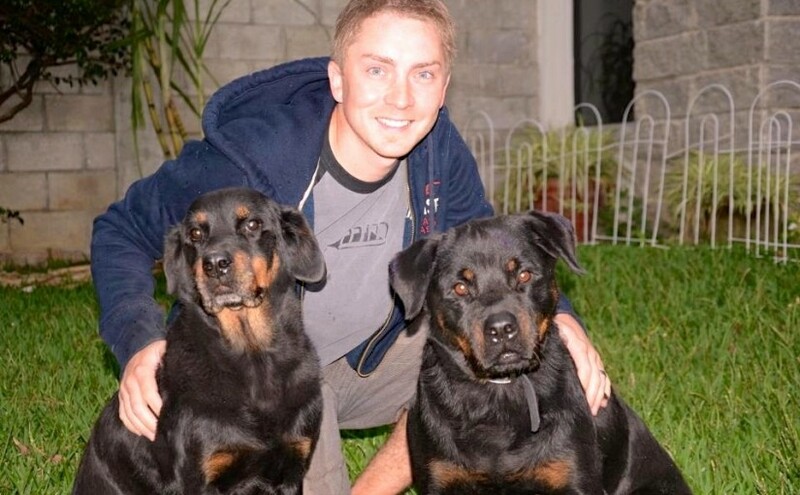 But while your feelings on the matter may be simple, traveling with pets in tow often isn’t. No matter how you’re getting from point A to point B, there are a number of guidelines, regulations, and fees to prepare for. A few weeks prior to a trip is a great time to take your pet to the veterinarian for a checkup. This is a perfect time to make sure your pet is in optimal health. If your pet takes any medications regularly, be sure you have enough to last the full trip. If not, request a refill from the vet during your appointment. This is also a good time to make sure your pet is up to date on all vaccinations, so that s/he is protected against anything s/he might be exposed to while traveling. And if your pet has not yet been microchipped, get onto it now–microchipping dramatically increases the likelihood of being reunited if your pet bolts out of the car or hotel door. If you’re taking your pet with you on a car trip, one of the first things to consider is how comfortable your pet is while driving. 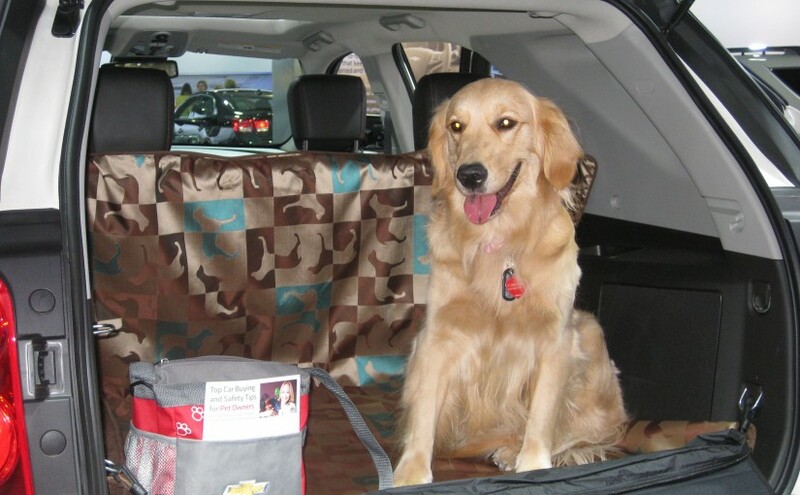 There are ways to help pets who don’t love a long ride get more comfortable in the car in the weeks before the trip. ASPCA recommends feeding anxious dogs one meal a day in the car in the weeks leading up to your big trip, and going for several short rides together. If your pet exhibits signs of carsickness such as vomiting, trembling or drooling, mention it when you visit the veterinarian—they may be able to ease the symptoms with medication. And don’t forget, a tired pet is a content pet—give your pet plenty of exercise prior to the drive to reduce anxiety, barking, and other problem behaviors. Once you’re on the road, don’t let your pet wander the care while you drive; it’s a lot safer for you both if your pet is securely fastened in the back seat with a harness or crate. You can help your pet get comfortable by bringing blankets and toys that are familiar and stimulating—kongs and other puzzle toys can be great for dogs. You should take a break to let your pet relieve him/herself and get some exercise at least every four hours while on the road. Never leave a pet in a hot or cold car alone—the conditions inside a car in these temperatures can be life-threatening. Before flying with a pet, it’s important to be aware of the various rules and restrictions. The Department of Transportation, the Federal Aviation Administration, the Transportation Security Administration all have regulations you must follow when flying with a pet. If you’re traveling abroad, you’ll also have to comply with rules from the U.S. Department of Agriculture and the International Air Transport Association. Don’t forget the the airline you’re flying on, too—each airline will have different requirements for crates, weight limits, and more. The Air Carrier Access Act requires airlines to accommodate animals who provide task and emotional support to people with disabilities. Make sure to research your airline’s pet shipping requirements and what documentation is necessary if you need to take a service animal with you on the flight. Most airlines’ availability for pets on a flight are very limited, so book at least six weeks ahead to avoid complications. A few days before your flight, call and confirm that everything is in order for your pet’s travel. Flying is not considered an ideal way to fly for most pets. Never let your pet travel with the baggage, always take your pet on board with you in a carrier. Furthermore, consider anything that might make your pet especially vulnerable while flying—the American Humane Association recommends against bringing puppies or kittens, pets that are sick, or pets that are pregnant onto a plane. Animals with “pushed-in faces” (think pugs, bulldogs, Persian cats) are at high risk of breathing problems while flying, and many animal advocate groups urge owners not to bring these pets on flights. Some airlines won’t even let them on board. When taking your pet to a hotel with you, always double check its policies and fees—that means calling the hotel itself, not just checking a website. Even pet-friendly hotels often have limits on what types of pets it accepts, and their own policies on pet-related fees. The last thing you want is to show up only to find out that your pet isn’t allowed, or to get hit with a massive fee you aren’t prepared for. While you’ve got a hotel representative on the line, you may want to ask about the condition of the hotel’s pet-friendly rooms as well. Some hotels only allow pets in smoking rooms. If that’s going to bother you, ask before booking. Call again a few days ahead of your reservation to confirm it, and remind the hotel that you have a furry friend coming along. To help your pet feel at ease in the hotel room, bring things such as favorite toys and blankets that will smell like home and keep your pet entertained. Most importantly, bring your pet’s crate. Dogs, cats and many other pets feel their crate is a safe place, so keep it open for them to rest in as they wish. And always put your pet in a crate when leaving them alone in the room. 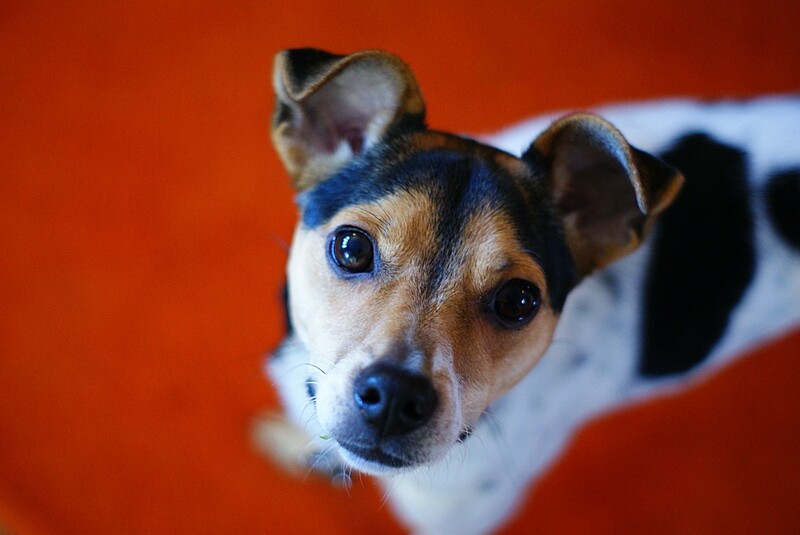 Even the most well-behaved pet may act unpredictably in a new environment. While traveling with a pet can be more complicated, that’s no reason why you and your pet can’t have a smooth trip. If you hate to leave your pet behind over the holidays, there’s plenty of pet-friendly options available. Just be sure to plan ahead, know the requirements, and bring plenty of food, toys and anything else your pet might need. Dogs are fun, cuddly and playful. But your pup does much than put a smile on your face. In fact, there are several proven health benefits to owning a dog. So much so, that one insurance company (Midland Life Insurance Company) include dog ownership as a factor in its medical screening for clients 75 years and older. All of this is good news for dog owners, though the news that time spent with your pup keeps you healthy and feeling good may not be surprising to them. And if you’ve been considering getting a dog, these health benefits are a slew of great reasons to take action and bring a new furry friend into your home. What you feed your dog is one of the most important health decisions of dog ownership. A dog’s food heavily impacts its energy and overall health. But there are a lot of factors to consider. The right food for your dog depends on size, age, activity level and other special needs your dog may have. Puppies’ growing bodies have special nutritional needs. How well their food meets those needs can shape the dog they grow into and influence their healthy over the full course of their lives. Look for ingredients that support growth and energy—because they’re growing so quickly, puppies need more of both per pound than adult dogs do. That means protein and carbs. 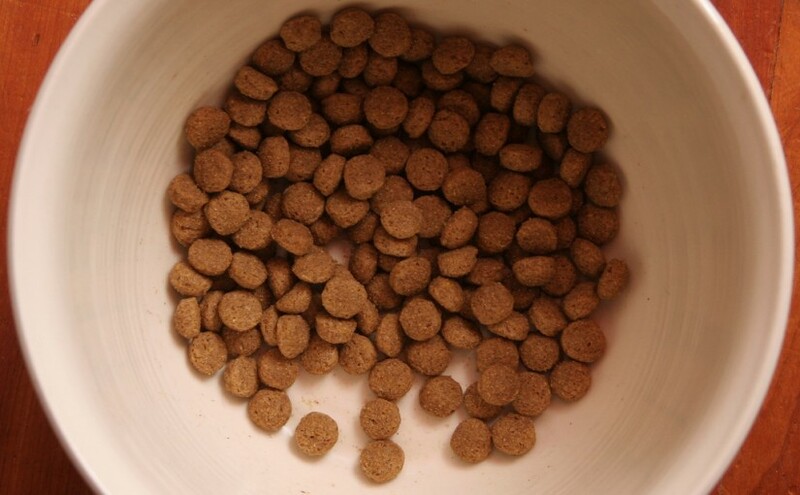 A good kibble for puppies also includes healthy fats, which boosts a dog’s ability to absorb vitamins. Improper or imbalanced nutrition in the puppy stage could negatively affect bone and joint growth, which could lead to long-term health issues. 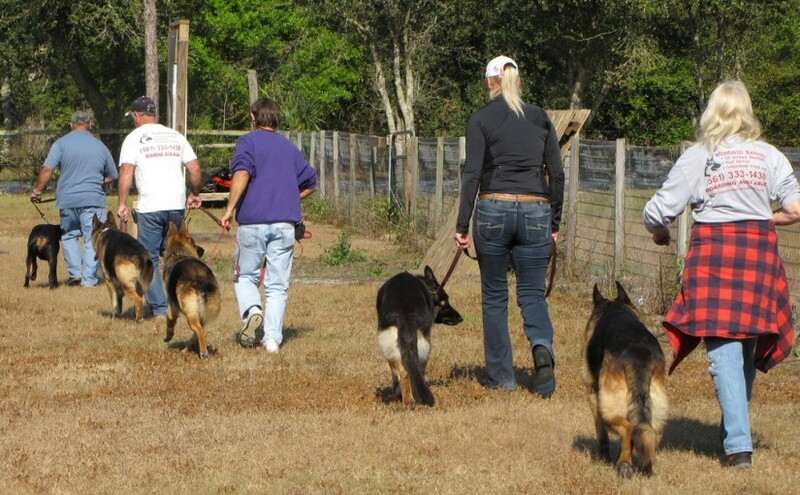 This is especially important for large dog breeds because they grow so rapidly as puppies. Once your puppy has reached is full size and is no longer growing, it is time to switch it to an adult dog food. This is important for meeting your full-grown dog’s health needs for weight management, oral care, activity level digestion, and more. For good adult dog nutrition, look for protein for muscle support, and carbs for energy and fiber. Healthy fats continue to be important too, supporting skin and coat health, energy boosting levels, and enhancing taste. A food that helps your dog get its needed vitamins and minerals will keep its body strong and working properly. Stick to a dog food made for your dog’s type if it is a large or small breed or has other special needs. As dogs age, their metabolism slows and their activity levels go down. As this happens, dogs’ need for calories and fat goes down. Dogs eight years and older have a higher risk for a number of health issues including obesity, heart disease, kidney disease, dental disease, degenerative hip and joint disease, and more. They’re also more prone to digestive irregularities. Stick to a dog food created or seniors to help your dog get the appropriate nutrients, and if your dog has a health issue, look for a food that can help address it. Senior dogs may also start to lose their appetite. If you notice your dog eating less, talk to your vet about potential health issues and look out for signs of discomfort, such as difficulty chewing. Consider ways to make the food more palatable or easier to consume, such as adding a little water to dry food to soften it and reduce digestive issues. A dog’s nutrition needs can vary significantly based on its size, age and activity level. To make sure your dog is getting the health support it needs from its food, always check that the food’s intended consumption matches your dog’s life stage, and make note of any special needs it has. From the puppy stage to adulthood to your dog’s silver years, make sure your dog’s food is designed to meet its specific health needs. Follow these simple tips, and you’ll set your dog up for a long and healthy life. Are you training a new dog? Stuck with a problem behavior you are having trouble correcting? Read on for some tips to help you effectively train your four-legged friend. Arguably the most important element in training a dog is consistency. Dogs, like small children, do not do well with mixed signals, and if you are inconsistent your dog is likely to get confused and to not understand what you want them to do. It is also a good idea to make sure that as many family members as possible are using the same training methods. That way, your dog will always know what is expected of them from your entire family. Always be patient with your dog. Sometimes it is tempting to get frustrated or angry, especially when the dog is misbehaving, but in the long run this does not help the learning process any at all and could actually frighten the dog. Furthermore, behaviors take time to change. Do not expect your pup to have all their commands down quickly. Training a dog takes time. Behaviors that are natural for dogs such as jumping, biting and digging will take longer to correct. Positive reinforcement is important for any good training routine. Dogs do what works. If sitting when asked, staying and giving a paw will get them a treat, a longer walk, a favorite toy or affection, then they will do it. Be sure to liberally reward your dog when they do something right. You likely have no trouble punishing behaviors you do not like. However, rewarding those behaviors you do like is sometimes harder to remember. Be genuine and sincere with your affection and praise. It is even okay to be a little bit over the top. Make sure your dog knows that you like what they are doing, and they will be much more likely to repeat the behavior. Listening is an important skill in any relationship. If your dog seems uncomfortable with something you are asking them to do, that is a clear message. Do not force your dog to do something that they are uncomfortable with. They have their reasons. As a human, you may not understand what those reasons are, but it is important to respect them. You can always try again later. Just because they are not comfortable at this moment does not mean they will always be uncomfortable. These tips may seem basic, but their value cannot be underestimated. If you build a good relationship with your dog now, you are likely to have less incidents of bad behavior. Furthermore, your dog is much more likely to listen to you when you ask them to sit instead of chasing the mailman or jumping on the guests the next time you choose to entertain. 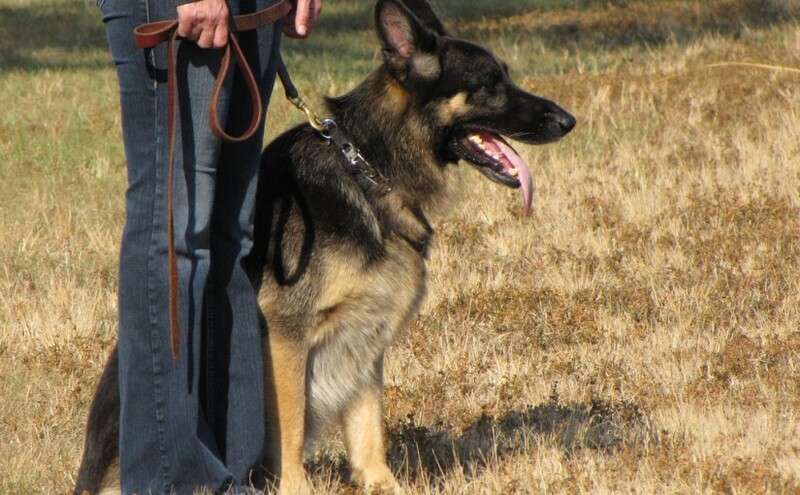 Even more importantly, a well-trained dog is a loyal companion who will be at your side for the rest of their life. Puppies are such adorable bundles of fur, it’s hard to imagine that there could ever have be a need for training classes. After all, training classes are for “bad” or “problem” dogs, not yours. Besides, you can handle teaching a dog a few tricks, right? Wrong—these are common myths, but false ones. One of the most basic ways a training class can help you and your dog is by pre-empting bad habits—like chewing on your shoes—by establishing positive habits early. Puppies can benefit from training classes and learn simple commands like “sit” as young as seven to eight weeks old. But even if bad habits do develop in older dogs, a training class can help correct behaviors, too. For you to have a successful long-term relationship with your dog, it’s important to establish yourself as the pack leader. Dogs’ social dynamics function within a hierarchy, with an alpha dog at the top as their leader. If no leader is established, your dog will take it upon itself to become that leader. To establish your authority over the dog, it’s important that you claim that leadership role first. A training course can help you learn the confidence and command to do it well. The nuances of communicating with a dog are not always intuitive. You may think you’re communicating clearly, while in fact your dog can’t understand it at all. But taking a training course together can help you and your dog learn to communicate to each other better, serving as a strong foundation for a long happy relationship. A training class does much more for a dog than teach it to sit. It also exposes them to public spaces where they interact with other people and pets—which gives dogs valuable lessons about how to get along with others, of both the human and canine varieties. These lessons about appropriate behavior come in handy any time you want to take your pup with you to a parade, park, or other public space, as well as any time you invite someone to your home! Dogs are meant to be active, and many were even bred to hone instincts for specific jobs, such as sheep-herding. And yet most modern dogs spend their time napping and sitting around the house. For some dogs, this can cause boredom that leads to acting out in ways that are not acceptable, like tearing up the couch pillows while you’re at work. It’s not that their “bad,” they’re just looking for an outlet for their hard-wired instincts. Along with regular exercise, training classes (and practice time at home with you) can offer your dog the mental stimulation it needs and stave off those negative behaviors. If your dog has already mastered the basics, consider an advanced course. Training classes for your dog can be beneficial at any age or skill level—and they can be good for you, too! From basic commands to strengthening your line of communication, there’s plenty of reasons to get your dog in a training class. Find a training class for your dog by checking at your local pet shop, adoption center, or searching online. Why Do Dogs Jump Up on People? You come home from a long day at work and open the door to your home, and are greeted by the high energy of your dog, who rushes to the door and jumps up to greet you. Perhaps you enjoy this effusive greeting, taking it as your dog’s happiness that you are home. But over time, it’s likely become a source of frustration for you, especially if your puppy has grown into a large dog. Even worse, your dog exhibits the same behavior to guests, and most of them (understandably) don’t appreciate it at all. Dogs communicate differently than us, so it’s not uncommon for a behavior to mean something very different to dogs than it does to their owners. In fact, your dog’s jumping behavior is not the elated “welcome home” that most of us believe it to be. When a dog jumps, it is asserting dominance as the pack leader. When it jumps on you, it is asserting dominance over you. When you don’t fill the leadership role strongly and consistently, your dog senses that. Instinctively, it has a need to provide that leadership itself. What do you do when you’re nervous? Pace around or fidget? Your dog’s jumping may be a similar response, rooted in anxiety or a simple excess of energy. Fortunately, regardless of what’s causing your dog’s jumping, the way to stop it is the same. First, stop reciprocating your dog’s jumping with affection. When you do this, you tell your dog this behavior is good and is being rewarded. Worse, if your dog is anxious, you are telling your dog this is an emotional state you want it in, and creating a cycle of anxiety for your dog. Then, re-establish yourself as the pack leader by exhibiting a calm, positive, and authoritative demeanor when you come home. Don’t give your dog attention until it is calm, too—just go about your business as if it isn’t there without touching, speaking to or make eye contact. It will also help to give your dog more exercise on a consistent basis—this will help it manage that extra energy. By following these simple steps, you’ll be communicating with your dog in a way they can understand, while giving them the security of a strong leader and affirming a healthy, calm and happy state of being. 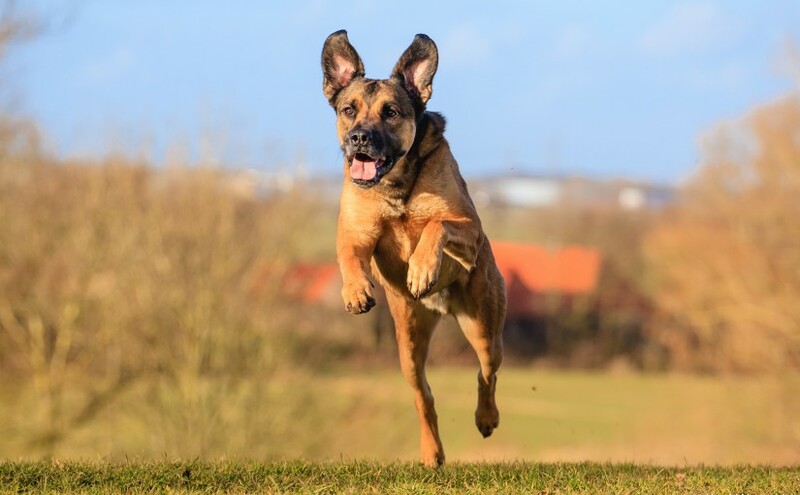 In short, in addressing the behavior problem of jumping, you will also create a happier life for your dog by tackling the underlying problems.